Susan has been Spinning® with Fitdigits Ambassador and Spinning Instructor Giovanni Masi for over a year. Since Gio has started to help her in her running training using Fitdigits to track Heart Rate, Susan has recorded Personal Bests on runs on a near weekly basis! She never thought she could break the 12 min mile mark, but with the help of her trainer, the Fitdigits app and a Heart Rate Monitor, she has left that time in the dust. Also gathering dust is her old Garmin Watch. 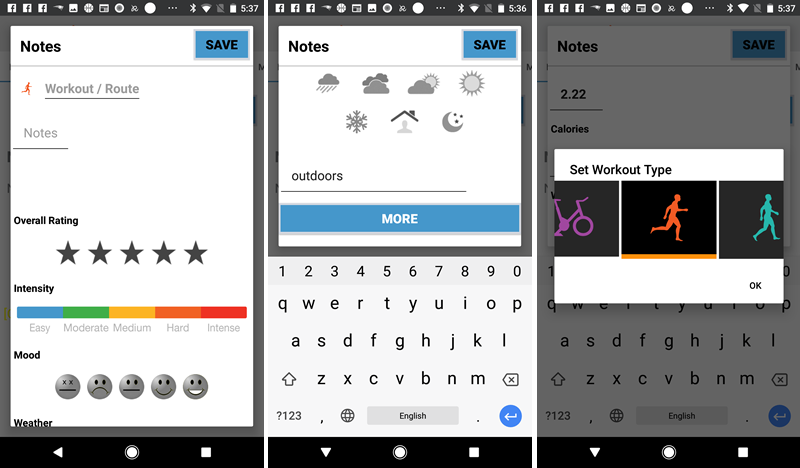 “I have so far logged 88 running and Spinning workouts with Fitdigits. 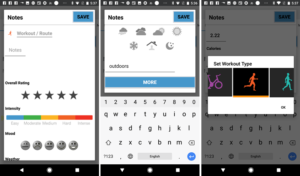 Fitdigits’s visual displays allow me to compare one workout to another, which has facilitated improvement in performance, recovery and endurance. Over the past four months Fitdigits has taught me to control my heart rate in such a way as to become more efficient in both running and Spinning®. For example, the first run I logged on Fitdigits was October 10, 2012 with a pace average of 12:04, which was pretty much the norm for me. Later on a similar run I logged a pace average of 10:34, which is a time I never thought I would see! This is a remarkable feat and attributable to the skills learned from using Fitdigits and Giovanni’s training advices/plans on a regular basis. Taking more than 1.5 minutes off my pace has inspired me to keep trying to run faster and stronger. During spinning classes, Fitdigits has taught me to control my heart rate with resistance and breath. It has truly empowered me with the confidence and strength with which to challenge myself to become a stronger and smarter rider. It appears as though the strength gained from using Fitdigits regularly has spilled over into general fitness classes and personal training at the Y and at L.A. Fitness. Now, using Fitdigits in those classes will help me to improve my performance there as well. Now that Susan has made such great gains, the next step is taking a Fitness Assessment so she can truly see her gains in her fitness level. If you’ve ever contemplated taking a Spinning class but were too scared to try, you aren’t alone. Many newcomers are intimidated by the loud music, the instructor’s barking orders and the unfamiliar terms. Part of getting fit, however, is leaving your comfort zone and trying something new. Once you have the basics down though, an indoor-cycling session can be one of the most beneficial cardiovascular exercises that delivers tons of dopamine for that post-workout bliss so many of us crave. Check out these tips from Fitdigits Resident Spinning Instructor and Trainer, Giovanni Massi. Each indoor cycling instructor has a different teaching style and music choice, which can make or break your Spinning® experience. I always say that group fitness instructors are like restaurants: the food may be great, but if it doesn’t tickle your taste buds you won’t go back! That’s why it’s important to find one whose coaching technique keeps you motivated and playlist inspires you. For help picking your first cycling class, ask friends, fellow gym goers and staff members which instructors they like and why. Otherwise, peek in on a class that’s already in session to get a sense of the overall vibe. After your first session, test out various classes to figure out whose instruction keeps you moving. One of the most important items to bring with you is water. Indoor cycling classes are typically held in small rooms where there’s less air flow which is needed to help your body cool down. Drinking plenty of water throughout class will stabilize your core temperature and pump blood to muscles. A towel to wipe sweat from your face, a pair of padded shorts and sweat-wicking clothing will keep you comfortable throughout the session. Heart-rate monitors are also recommended to ensure you reach optimal performance and stay within safe heart-rate zones. 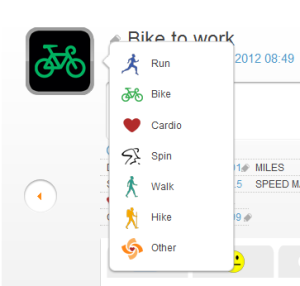 Fitdigits’s iCardio App not only measures your heart rate, but also tracks other keep fitness data like caloric burn. Getting to class early gives you a chance to speak with the instructor who can make you feel at ease about your first session. The instructor will help you set up the bike properly, explain safety measures and proper form, plus provide an overview of how the class will flow. He or she may also watch you a little more closely during class and give you special instructions to help perfect your form. One of my favorite things about indoor cycling is that it is each person’s own ride. Unlike other group fitness classes, it isn’t obvious if you can’t keep up or if you miss a step. Though instructors guide speed, cadence and heart rate, the individual controls the overall level of intensity–so you can make the ride as easy or as hard as you want. 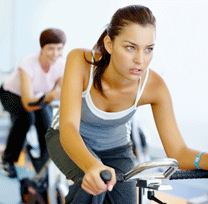 Indoor cycling can be hard work especially for first timers. Many newbies become fatigued early on in the session and may consider quitting in the middle of class because they feel it’s too hard to finish. If this happens to you, don’t give up. Slow down your heart rate by lowering your pedal speed, removing any weight off the wheel, breathing deeply and drinking plenty of H2O. This will give you a chance to recover and give you energy needed to finish the class. Don’t be hard on yourself though, it’s natural to feel this way during the first session. Stay committed to finish and know that with each class you will continue building endurance and cardiovascular strength. Giovanni Masi is a certified Spnning® instructor with over 22 years of experience. 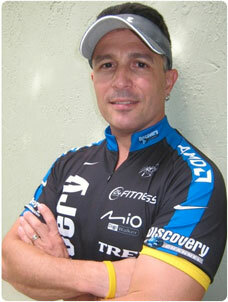 As a Fitdigits ambassador and resident Spinning Instructor and Trainer, Giovanni wants to hear from you. Follow Giovanni on Twitter: GioFitness or email: giofitness @fitdigits.com.